Before you turn your imagination loose and conjure up “hot tent” images, we’re not talking about setting tents afire or turning them into Native American sweat lodges, though, in principle, the two are comparable. 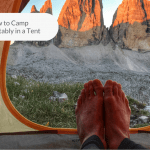 In fact, this clever concept is all about setting up a heat source within a tent so you can schedule as many camping adventures in January as you typically do in July without missing a beat. 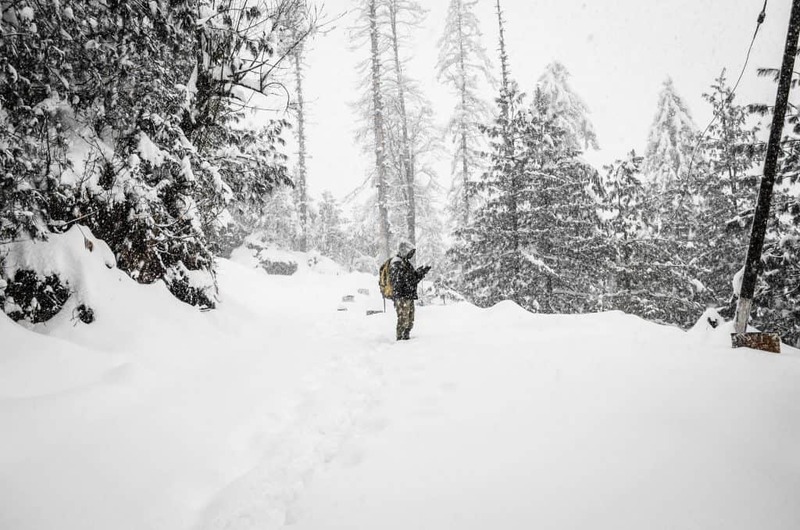 According to folks who have fallen in love with this winter activity, you’ll need an attitude change before you can appreciate the splendor and uniqueness of camping in the dead of winter where it’s icy cold and perhaps snowy outside. But from the moment you construct your site and stoke up your first warming blaze, you’ll be charmed and delighted. 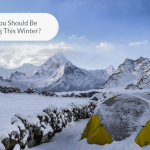 See for yourself why hot tent camping is becoming so popular when you visit Paul Kirtley’s blog before you plan your winter escape. It’s exactly the same as regular, warm-weather camping, but you’ll have to come up with a clever way to heat the interior of your tent once you’ve taken adequate campsite precautions that set the stage for your tent’s erection on the ground that’s less than hospitable. Hot tent campers bring wood-burning stoves to sites in the woods that already attract outdoors people during the other three seasons. You’ll need a tent that’s either fabricated of fire-retardant material or one that’s treated with fireproofing agents so you avoid burning down your temporary home. Need a set-up tutorial to figure out whether this activity is to your liking? Check out this website for tips that are extremely helpful. To satisfy this expanding market for all things related to hot tent camping, companies like BigDuckCanvas carry a wide range of tent material treated to be fire retardant, but this doesn’t mean you have to order some of their fabric and get out your sewing machine to stitch up your shelter. 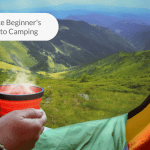 Product purveyors like Coleman and other sporting goods companies cover this market like a thick blanket of snow, so it’s becoming easier every season to find tent and stove combinations designed exclusively for hot tent camping. According to the Sierra Trading Post, a hot tent is defined as an oversized tent with a portable, wood-burning stove. Some of these set-ups are amazingly luxurious and sophisticated; think high-priced African safari enclaves that emulate portable luxury hotels. 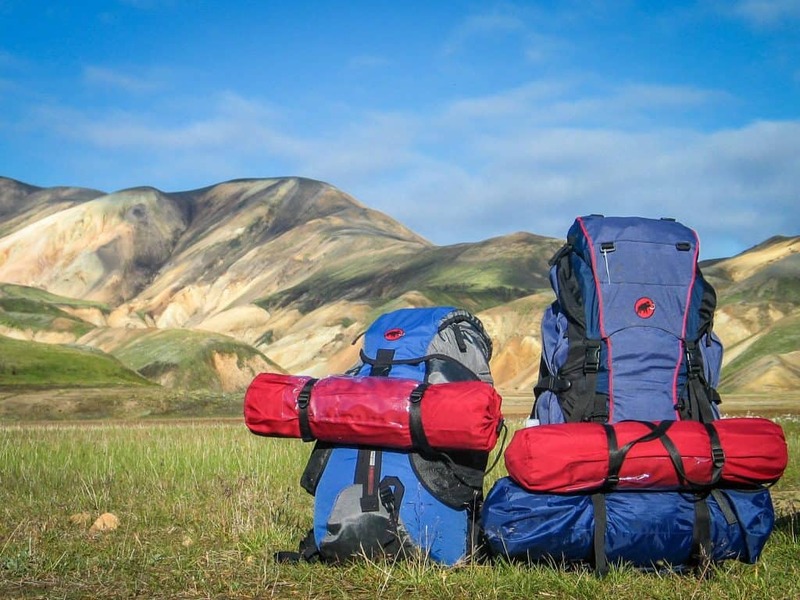 That stated, the staff you’ll likely employ to carry everything you need to set up your temporary paradise is more likely your family and/or friends, but conceptually, protocols are the same: All of the supplies and structural material required for your adventure must have the ability to fold down, pack up and fits into the bed of a truck or camper. Pre-fabricated hot tents usually come with removable floors already in place, but some adventurers prefer to make or use their own their own bases of fireproof tarps or logs culled from a forest floor. It’s your hot tent so customize it any way you wish. As you can see from the aforementioned Coleman reference, the type of stove necessary to put together your structure must feature some sort of venting vehicle so fumes generated by the stove have somewhere to go rather than filling your tent with smoke. Do-it-yourselfers can make their own stove vent, but make sure you know what you’re doing. Otherwise, leave the job to experts by investing in a combo. A proper wardrobe with multiple changes per camper in case garments get wet. 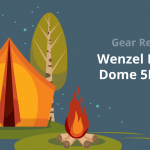 Since tent stoves are at the heart of the hot tent experience, do yourself a favor and get the best one you can afford because your expenditure will pay dividends once you’ve set up shop on your wintry parcel of land. 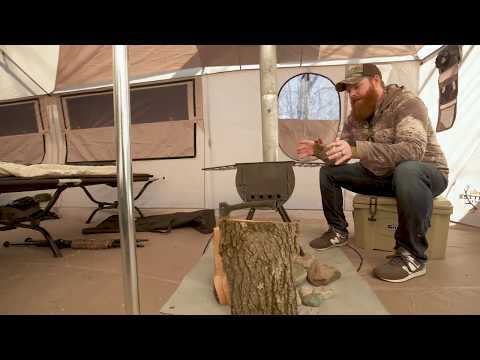 Do take some time to listen to the Keefer Brothers’ advice on getting a tent stove. Perhaps the more popular brand for camping stoves in today’s market is Camp Chef. They have different models that have different functions. We’ve found one tent stove that is very suitable for hot tent camping and has very positive feedbacks. That is the Alpine CS14 Heavy Duty Cylinder Tent Cabin Stove. Like what the name suggests, this is going to be heavy to carry so if you’re totally fine with lugging a monster, go for it! It is heavy but it is also able to heat up a large tent well. Otherwise if you’re looking for a lighter stove, frequent campers often recommend Kifaru box stoves. 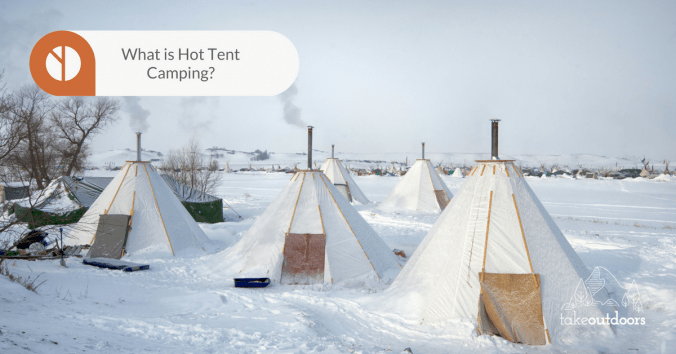 It’s a challenge to winter camp, but hot tent camping makes that challenge fun and thrilling. There’s lots to be said for getting away from TVs, game boxes and the electronics that rule our lives. There’s something about being inside a hot tent that encourages talk, jokes and intimate exchanges. Teach kids survival skills they will use for the rest of their lives that have nothing to do with smartphones! Get lots of exercise cross country skiing, trekking or adventuring and return home to your cozy fire. Escape the stressors and pressures of life inside a hot tent where the only sound you hear is a crackling fire. Add items to your list for the ultimate hot tent experience like fold-down cots, camp stools and comforters. 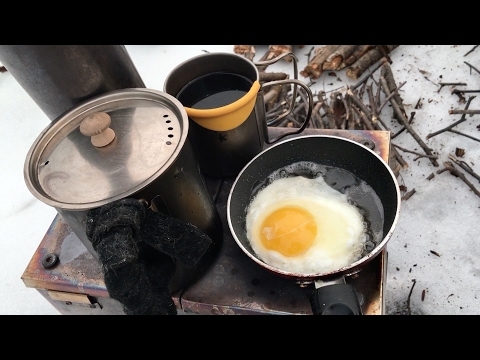 Try your hand at winter meals using your camp stove so your repertoire surpasses hot dogs and s’mores. Make the most of the tedious packing and set-up tasks by sharing responsibilities so everyone can help. Wear only waterproof boots; leather hiking boots won’t cut it and could even impede blood circulation. Layer clothing so air pockets protect your body from hypothermia (yes, that includes thermal underwear). Expect your energy to drain faster in winter. Physical exertion can exhaust you quickly, even if you’re fit. Stay hydrated, even if you don’t feel thirsty. Dehydration impairs the body’s ability to generate heat. Prepare hearty foods like hot stews and one-pot meals; moderate your sugar intake to avoid highs and lows. Change your clothes immediately (down to your skivvies) if you get wet. If you decide to keep the fire going all night, take turns monitoring the fire to keep everyone safe. Nah, we totally recommend you to take the fire out when you are turning in. You never know everyone might just fall asleep deeply and leave the fire unattended. Place a filled bucket beside the stove in case your fire gets out of control and you must extinguish it fast. Remain cautious; even experienced campers have been badly burned while cooking or adding kindling to the fire. Don’t light your stove if you can’t vent it. 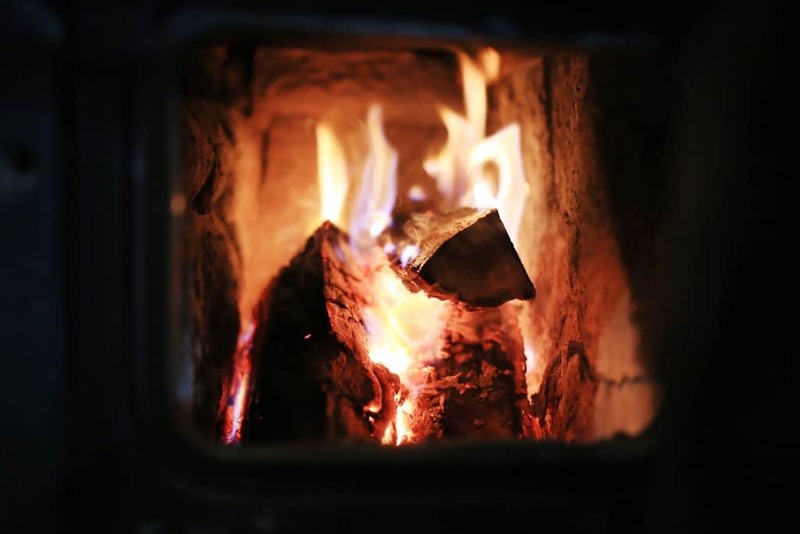 Odorless carbon monoxide generated by wood-burning stoves can lead to tragic consequences. 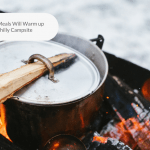 At least 50-percent of all calories consumed daily at your winter camping site should consist of simple sugars and complex carbs that include quick-release foods like cereal, bread, dried fruit, rice, pasta and veggies. Get 20-percent of your daily protein needs from meat, fish, nuts, grains and dairy during your trip. Consume the other 30-percent of nutrients you need to stay warm in the form of fats, nuts, cheese and eggs. And while the average person requires about 1,500 calories per day to power activity, caloric limits in winter are more extreme: If you sit around inside your hot tent, you can consume between 2,500 and 3,000 calories a day. Get out and get active and you’ll burn between 4,500 and 5,000 calories just keeping your body fueled. So, if you’ve been looking for a creative way to lose weight without making a big effort—and if food deprivation seems cruel and unusual–chow down on foods that never appear on any diet and lose some weight effortlessly. Nobody will believe you when you tell them that you owe your hot body to a hot tent camping trip, anyway!